Awning Windows Provide Philadelphia Homeowners with Ample Ventilation, Convenient Versatility, and a Beautiful Design. 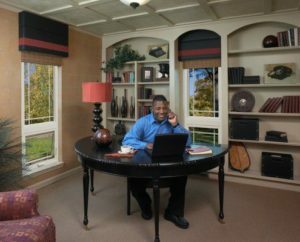 If you’re looking for replacement windows that offer light, versatility, and design but are seeking something a little different than traditional casement windows, consider new Philadelphia awning windows from Zen Windows. Awning windows are quite recognizable once you know their characteristics. Hinged at the top, awning windows open from the bottom, allowing for ample ventilation. Because they open outward, awning windows are perfect for letting in a cool breeze, even when there’s a light rain outside. Why Choose Awning Windows For Your Philadelphia Home? Awning windows are both versatile and beautiful. They preserve the view of your home’s landscape or breathtaking setting, plus they can be always be opened, regardless of the weather. When looking for the perfect window to place above your kitchen sink, awning windows are both convenient and useful. Their opening mechanism is always within reach, allowing you to open the window with ease, while their style provides clear views of the great outdoors. Awning windows are also commonly used higher up on walls to provide ventilation with some much needed privacy, making them an excellent option for in your bathroom or bedroom. 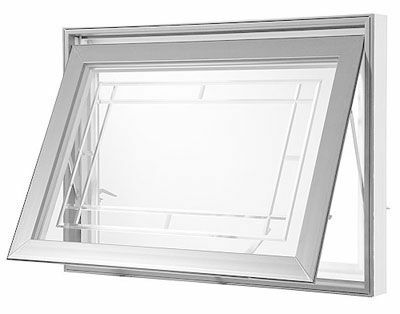 If you’re looking for incredible ventilation in your home, awning windows are an excellent choice. Awning windows are similar to a fixed window in that they do not have any view-obscuring bars or check rails at the center, providing you a clear view of your outdoors as well as ample privacy. These windows work great in smaller window openings or in difficult to reach places, such as over the kitchen sink or higher up on the walls. In addition to these advantages, awning windows are attractive and stylish, plus they are an inexpensive replacement option. Homeowners will also enjoy the weather protection and secure opening they provide. While awning windows are excellent for ventilation, they should not be placed in locations where there is tall landscaping or shrubbery outside of the home. Trees and other objects can obscure the view and hamper the functionality of your awning windows, making them difficult to open and close. 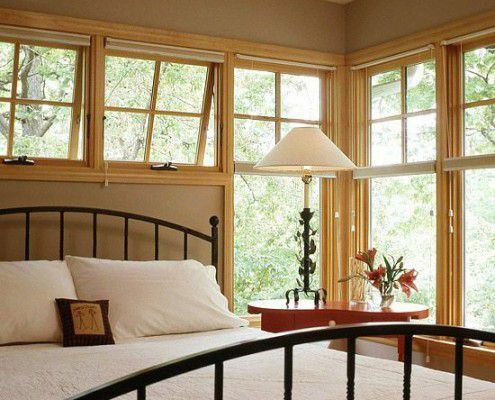 If you’re considering awning windows, they are best placed away from utilized walkways and lush greenery. Because of their design, awning windows can also be difficult to clean. While their outward opening keeps rain out, it also means that they cannot be cleaned from inside the home. The exterior of awning windows must be cleaned from outside. Because of this, awning windows are more common on the first story of a home and less utilized on higher levels. Are you considering awning windows for your Philadelphia home? Look no further than Zen Windows. Contact us today for a free estimate!